Use our HockeyApp integration to seamlessly test any of your HockeyApp builds on our Real Device Cloud. Our seamless API integration allows you to view your latest builds distributed via HockeyApp on App Live. Once setup is done, select the build you want to test and instantly start testing. Sign in to HockeyApp with an account having Owner/Developer/Member role. From App dropdown, select "All apps" or the specific app you want to test. From Rights dropdown, select "Full Access". Name your token(optional) and click "Create". Go to App Live dashboard. Click on "Sync with HockeyApp" to open the configuration modal. 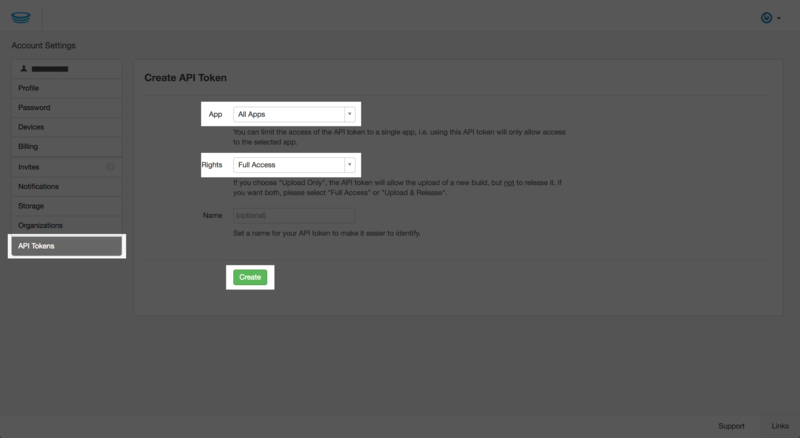 In the configuration modal, paste your API token and "Validate". 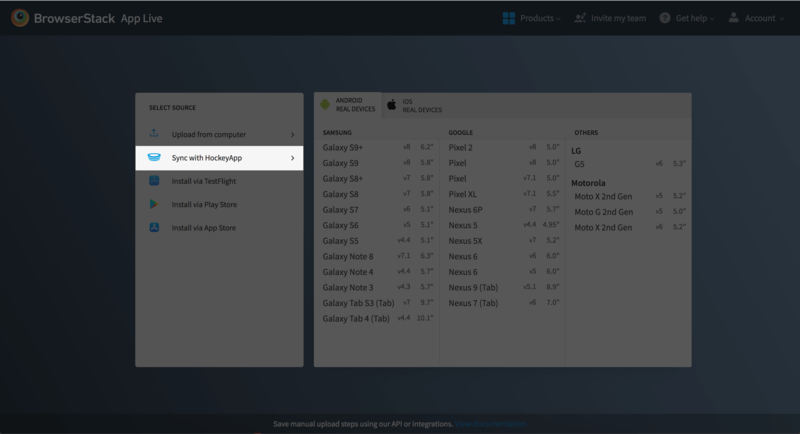 Select the apps you want to test and click on "Sync". Select "Upload via HockeyApp" option on App Live dashboard. For the build you want to test, click on sync icon to upload to our servers. Select a device and start testing.